The proto PCB’s of ION motherboard have arrived! Boards are just waiting for assembly to let us begin testing. The IONOSPHERE four axis motherboard. 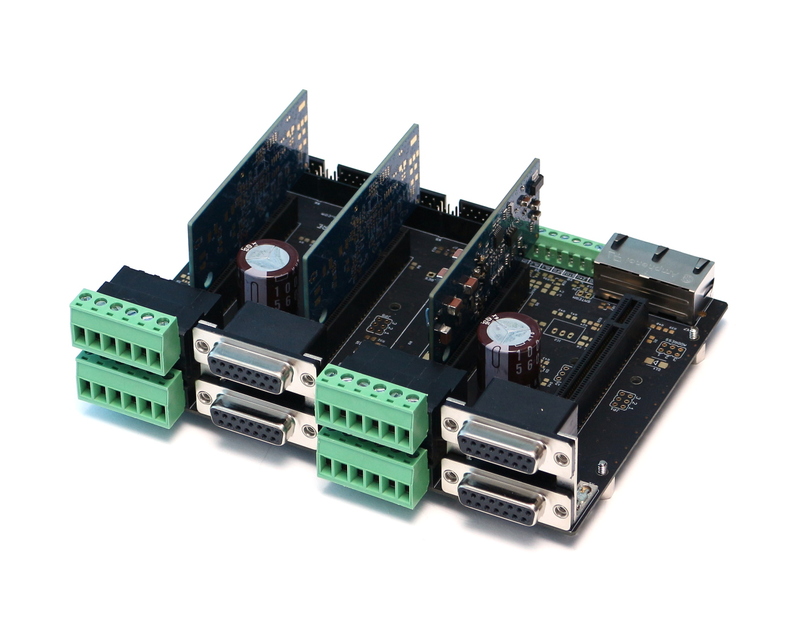 The design shares VSD-E’s benefit of having motor and encoder connectors on same face so it can be easily installed through a panel. In summary we have had deliveries to more than 40 countries, many of them are destinations I could not even dream of selling when we started the business. I see Internet is working very well spreading the word all over the world. Thank you everyone involved! This would not have been possible without word of mouth. One interesting observation is that we see orders coming in waves from area by area, especially from the countries with less frequent sales. 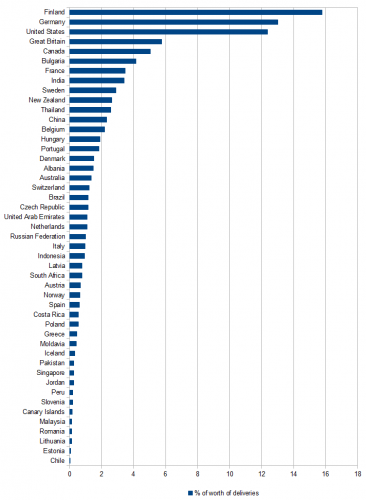 For example Switzerland was quiet for long time, then suddenly multiple orders started coming during relatively short time. As Fanuc servo motors are quite common target for drive retrofitting, it was tempting idea to make native support for their serial communication based encoder on Argon drive. The protocol seems quite straightforward based on the details people have found out. 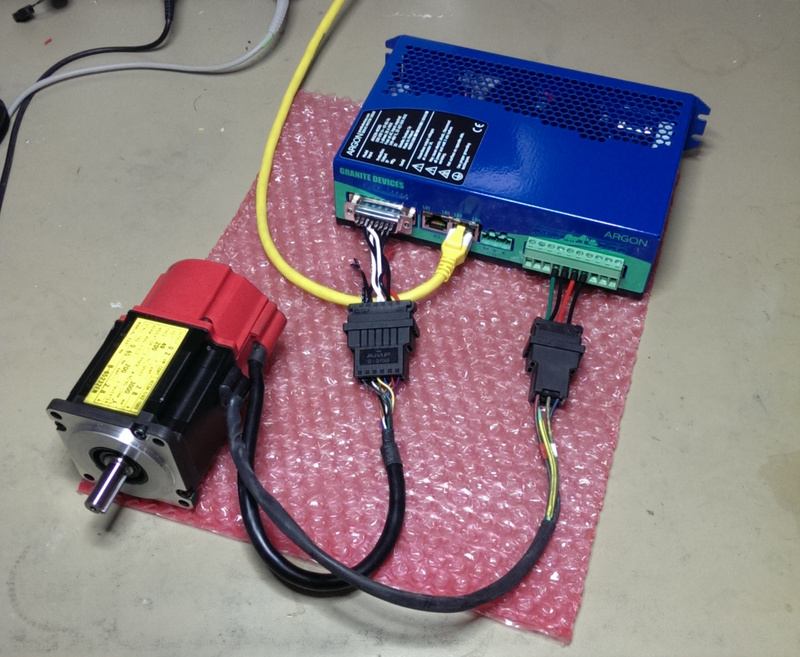 So without much wasting time, I purchased a Fanuc motor and hooked it on the drive. Argon encoder port has total of three programmable RS422 inputs and two RS485 inputs/outputs which would make it possible to communicate with almost any kind of serial encoder. Fanuc encoder outputs data in form of asynchronous serial communication that is transmitted and received by UART. During testing, it occurred to me that encoder outputs very unusual 76 bit word with single start and stop bit. Standard UART support 5 to 8 bit words so the internal UART of drive’s microcontroller will not help here. Implementing a custom 76 bit 1024 kbps serial receiver with bare software would be so tricky that plan of supporting Fanuc protocol is unfortunately looking quite improbable at the moment. Most of serial encoder protocols (SSI, BiSS, etc) use SPI style transmission which is way easier to implement on software. Plan of supporting those is in the future plans, we just need some hardware and time to begin with.